Chicken & Sweet Pepper Stir-Fry – Chef Tom Cooks ! 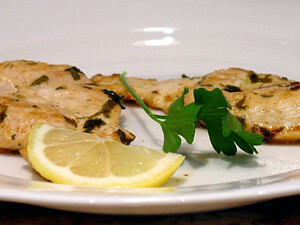 18 ounces Boneless Chicken Breast halves, cut into 1/2″ pieces. 2 minutes. Add peppers, stir-fry 1 minute. Add mushrooms, stir-fry about 1 minute more or till veggies are crisp-tender. Remove veggies from wok; set aside. Drain chicken, reserving the marinade. Add oil to wok. Add ginger root; stir-fry 15 seconds. Add half the chicken, stir fry 3-4 minutes till no longer pink. Remove. Stir-fry remaining chicken 3-4 minutes till no longer pink. Return all chicken, veggies, and bamboo shoots to wok; push from center of wok. Stir broth, cornstarch, and 1/4 teaspoon pepper into reserved marinade; pour into the wok. Cook and stir till slightly thickened; toss gently to coat chicken mixture. Serve while hot. elise - July 28th, 2008 at 8:38 pm none Comment author #5982 on Chicken & Sweet Pepper Stir-Fry by Chef Tom Cooks ! Heat oil/ ghee in a wok, diced onion, garlic and Zuchini and add to pan with Bacon strips. Then dice chicken breast and add to wok, once all is cooked add veg and noodles, allow to cook for a few minutes then add sauce. Simmer for two minutes and serve.